The Govs knew they had to shake their slow starts from the previous road games and started out with promise, hitting three of their first four shots, including a Brianah Ferby three-pointer. However, the Panthers (8-9, 2-4 OVC) went on an 8-0 run right after, with all eight points coming from Taylor Steele. The second half of the Ferby twins, Brandi Ferby, broke the run with a three-pointer of her own, but the Govs went 3-of-13 to end the quarter after what looked like a decent start. The Govs seized some momentum at the end of the quarter, however, as Maggie Knowles converted a clutch bucket to put the Govs down four. The Panthers were not allowing the Govs to drive as much, as the Govs did not attempt a free throw until the 4:50 mark of the second quarter. Brandi then stole a pass on the defensive end of the floor, scored, stole the ensuing in-bounds pass, and scored again while drawing a foul to put the Govs up one, 23-22, forcing an EIU timeout. EIU’s Grace Lennox answered out of the timeout with an and-one of her own, but Knowles continued her fine half with an and-one and then grabbed an offensive rebound while scoring with a nice hook shot. Knowles led all scorers and rebounders at the half with nine points and five boards, as the Govs shot 50 percent in the second quarter to lead by one, 32-31, going into halftime. EIU started the third quarter on a 6-0 run as the Govs went 1-of-7 to start the period. The Govs then erupted, hitting their final four shots, including three three-pointers on three straight possession. Brandi Ferby hit two in a row before Carmen Tellez answered back for EIU, tying the game. Knowles then showed her clutch veins, nailing a long-range three to put the Govs back up three. Karle Pace, a Clarksville native and EIU’s leading scorer, got into foul trouble picking up her fourth at the end of the quarter, as the Govs did a great job containing her, ending her double-digit scoring streak. After the Panthers hit a three-pointer at the third quarter buzzer, the Govs went into the fourth quarter tied for the second consecutive game. After a couple buckets were traded to start the fourth quarter, Keisha Gregory, who had just two points going into the fourth, took over. The senior hit a big three-pointer to put the Govs up 54-53 and from that point on, the Govs did not relinquish the lead again. Foul trouble started to become a major factor, with EIU being forced to play Pace, Steele, and Tellez with four fouls each. For the Govs, Knowles and Arielle Gonzalez-Varner also had four fouls, but played smartly, as Steele and Tellez eventually fouled out. Back to the Gregory show, the Johnson City native continued to have her way with the Panther defense, scoring 11 in the fourth quarter, including six free throws. Gregory has now made 25 straight free throws in the past three games. Led by Gregory’s dominance, the Govs embarked on a 19-5 run in the fourth quarter to close out the Panthers. 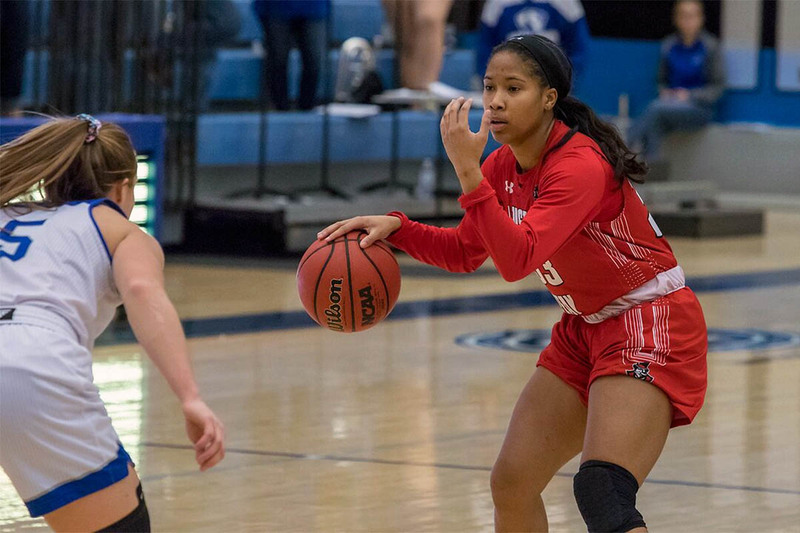 The Govs held the Panthers to just 25 percent from the field in the final period, while shooting 60 percent themselves, to earn a massive win on the road, 73-60. The Govs earned their first road win of the year and are now 3-3 in the OVC. Brandi Ferby had a career-high seven steals, one off the program record, and had a game-high 19 points. Maggie Knowles had a career-high 16 points on 6-of-6 shooting from the field. Arielle Gonzalez-Varner recorded her fourth career double-double. Keisha Gregory had seven assists, a new career-high. Gregory has also made 25 straight free throws. The Govs tied their season-high in team assists with 18. The Govs had their best road shooting performance of the season (45.3 percent). The Govs attempted and made more free throws in the fourth quarter than the other three quarters combined. The APSU Govs return home next Thursday, January 24th when they play host to Tennessee State.